This is an exciting alternative to glasses or contact lenses. Using the latest in laser technology, a brief painless ‘out patient’ procedure could eliminate or significantly reduce your dependence on glasses or corrective contact lenses. Just seconds of laser treatment can make … all the difference. LASIK stands for laser assisted in – situ keratomelusis. This new technology offers new hope for sight without complete dependence on corrective eyeware. In the actual LASIK procedure an instrument called a micro – keratome folds back a thin flap from the cornea (the front window to your eyes). The next step involves the magic of the Excimer Laser. 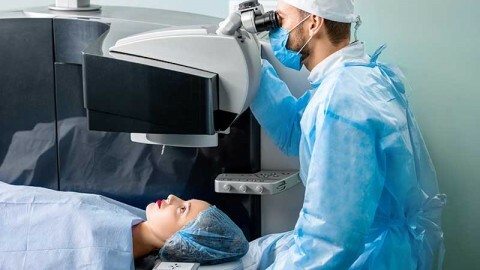 The doctor directs the laser beam with precision control onto the exposed section of the cornea to vaporize away precise amounts of corneal tissue. The result is a change in the shape of the cornea. Step three: involves returning the hinge or flap back into position. No stitches are necessary. The entire procedure has been dubbed ‘flap and zap’. The eyes are the cameras of our body. The front surface is called the cornea. This is the clear window of the eye that does most of the focusing of rays of light. The retina is the film of the camera (eye) and is located at the back of the eye. When the light image is not naturally focused onto the retina, then glasses or contact lenses are required. Myopia, or nearsighted, is a condition where light rays focus in front of – rather than directly on – the retina screen at the back of the eye. This results in blurry distance vision. Nearsighted is created when the eye itself is slightly elongated, or in some cases a cornea that is steeper than normal. Far sight (hyperopia) occurs if the cornea is too flat or the eye is too short. Light rays therefore focus on a point behind the retina, causing near vision to become blurred. Not everyone is a good candidate for LASIK. Factors including the degree of your refractive problem, the thickness of your cornea and age, must all be taken into consideration before any prediction can be made about the LASIK procedure. Is Lasik an option for you? LASIK is an entirely elective procedure. As with any medical procedure there are risks involved. LASIK can’t always produce 20/20 or even 20/40 vision. LASIK doesn’t correct Presbyopia – a condition that many time requires bifocals in patients over 40 years of age. After LASIK, some patients may require reading glasses for close up work. Should you desire to proceed with LASIK, you will be given a written consent form listing the possible risks and benefits involved. It is important that you understand these risks. Is the idea of reducing your dependence on glasses or contact lenses appealing ? If so, LASIK may be worth your serious consideration. Occupations that require good vision without glasses, such as firefighters, pilots and policemen may especially benefit from LASIK. The cosmetic, recreational and psychological aspects are all positives. Now that you are planning to have EXIMER Laser surgery, you will require the following instructions. 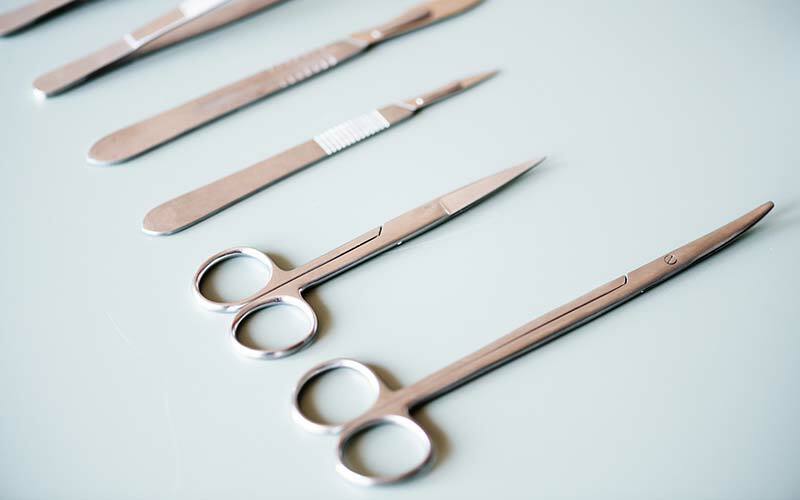 These will serve to prepare you for surgery and after surgery. With your first visit, your eyes will be dilated for examination of the retina and for any other abnormalities. A motivation letter will be directed to your medical aid for payment of the procedure. Phone your Medical Aid in a week and ask them if they received the letter. The medical aid will normally reply directly to the patient, and will send a copy of such letter to the institute. As soon as you are in possession of such authorization to proceed with surgery, please contact our rooms to make an appointment for surgery. If we have not heard from you by the time we receive our copy, we will contact you to ascertain whether you would like to proceed with this treatment. Patients over forty years of age must keep in mind that they will most probably lose the ability to read close up and they will need reading glasses at some stage. The reason : the lens inside your eye is losing it’s elasticity. This is a normal ageing process and has nothing to do with the operation. 4 to 6 weeks prior to surgery, hard contact lens wearers will be required to remove lenses and wear soft contact lenses or glasses for this period. 3 days before surgery ladies must stop wearing mascara, eye liner or any other eye makeup. Even though the utmost care is taken when removing makeup, fine particles are still left and can be seen under magnification. Please make arrangements beforehand, so that you arrive at the theatre by the time given to you. You must please keep in mind that you will be undergoing surgery and as with any hospital theatre, there could be delays. COME PREPARED TO BE AT THE THEATRE FOR PLUS MINUS TWO (2) HOURS, even though the actual surgery will only take about 20 minutes. YOU WILL HAVE TO ARRANGE FOR SOMEONE TO DRIVE YOU HOME AFTERWARDS. 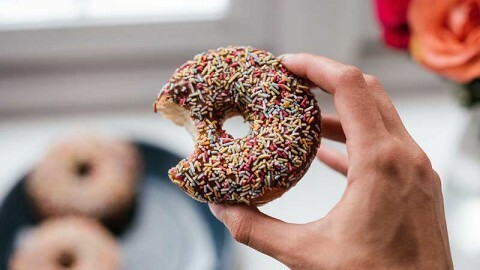 Have your breakfast as normal and be sure to dress yourself warm and comfortable – it is very cold inside the theatre. After reporting to the theatre, medication will be given to you in preparation for surgery. You will also be given a tablet to help you relax. This medication can cause drowsiness and is normal. The nurse will place drops in your eyes during a 15 – 30 minute period. You will be taken to a preparation area. Here you will be asked to put a gown over your clothes. You will be taken into the operating area, where more drops willbe instilled. You will feel no pain. You will be lying on a bed, and will be moved underneath a microscope. You will look at a red or green light while the doctor is doing the operation. A little wire will keep your eye open, so that you do not blink, and the other eye will be patched. The procedure will take about 20 minutes. On completion, the doctor will place a bandage on your eye/s and you will be taken to the preparation room. Your theatre gown will be removed, and you may then go home. Take your medication as directed. You may bath, but you MAY NOT wash your hair. All patients will have to be seen the day after surgery at the rooms. Please make your travel / sick leave arrangements accordingly. Patients MUST NOT remove eye patches before coming to the surgery. You are to continue with the drops, four times a day until the drops are finished, unless you have been told otherwise. 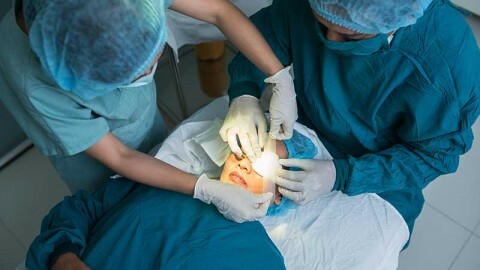 DO NOT wear any eye makeup for the first week after the surgery. Following surgery, you will be allowed to do most things. There are a few restrictions : DO NOT rub your eyes. You are not restricted as far as physical activities are concerned. DO NOT play contact sport for at least 2 weeks after surgery, and wear some kind of protective glasses for a few weeks. Be careful when washing your face or hair, in order to avoid soap, shampoo or water in your eyes for at least a week. Avoid swimming for 4 weeks after surgery.